Short helper note out there for anyone that purchases the ACENIX® 25 iN 1 Screwdriver Set to do repairs or extractions from their MacBook Air. 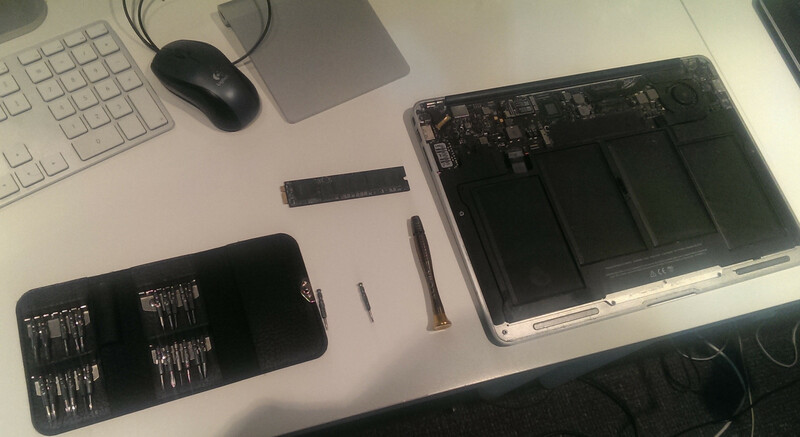 What's great is that it comes with both the 1.2mm pentalobe bit for unscrewing the case, and the T5 bit for unscrewing the SSD. 1.2mm Pentalobe bit is 3rd from the left, in the top left compartment. T5 bit is the left one in the top right compartment.